Microsoft has opened pre-orders for its refreshed line of Surface tablets, which were unveiled at an event in New York yesterday. 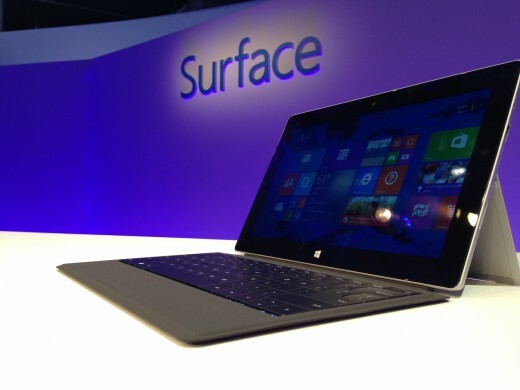 Though you’ll not be able to get your hands on the Surface 2 or Surface Pro 2 until around October 22, if you’re keen to state your intentions a month in advance, you can do so by placing an order through the online Microsoft Store, in bricks-and-mortar Microsoft Stores or through a handful of third-party retailers. The tablets are priced starting from $448 and $899 for the Surface 2 and Surface Pro 2 respectively. We managed to grab a hands-on with the tablets at yesterday’s unveiling, so check that out for the full ins-and-outs of the new line.